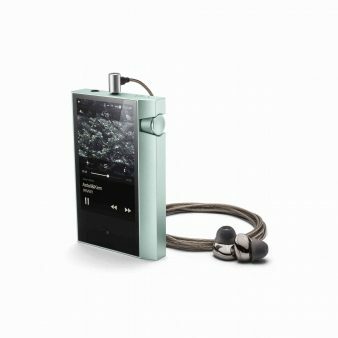 It has been a fast three-year journey since I plugged my earphones into the Astell&Kern AK120 Mk I Digital Music Player and entered an entirely new dimension of portable sound. While I have listened to iPods for many years (and still own a Classic), the world of MP3 or AAC files is overrun with lossy formats that satisfied my listening on the run but could hardly qualify as high-resolution sources. The availability of high-resolution music files, up to 192kHz/24-bit PCM and DSD64/128, has dramatically increased and offers listeners the best quality digital sound without paying a sonic penalty. The AK120 had storage space that could be expanded to 192 gigabytes, an important consideration since hi-res files take up a lot of real estate. 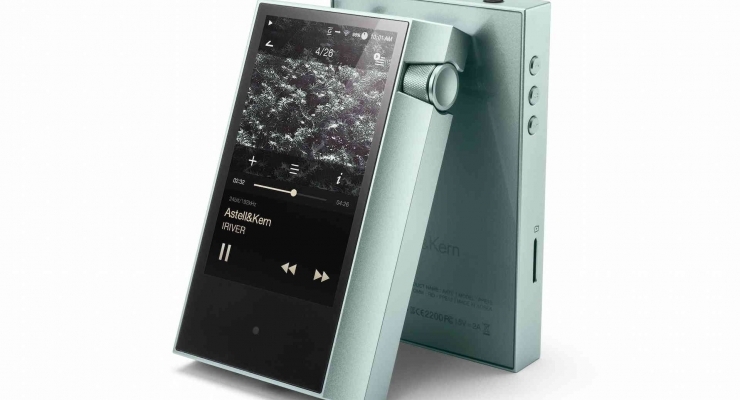 Since the AK120 player was released (and there is now a next-gen Mark II version), Astell&Kern have greatly expanded their digital player line and the AK70 is one of newest “little” brothers in the line, standing just above the AK Jr.
II and reduced in weight (4.6 oz). Like its bigger siblings, it features single-ended and balanced outputs. A 3.3-inch WVGA (480 x 800) TFT LCD touchscreen is highly legible with brilliant colors and crisp numbers and lettering. The AK70 can play high-resolution files in native format up to 192kHz/24-bit and down samples 384kHz/32-bit to 192kHz/24-bit. DSD 2.8MHz and 5.6MHz files are supported through DoP and rendered in PCM. The internal memory of 64 gigs can be augmented to 384 gigs with the addition of a 256-gig micro-SD card. A single Cirrus Logic CS4398 DAC chip fuels the brain of the AK70. Other special features include a customizable 10-band graphic equalizer, Bluetooth (A2DP, AVRCP, aptX and aptX HD protocols) and Wi-fi connectivity (AK Connect) that can reach music files on home networks. The 1ohm (balanced) and 2ohm (single-ended) impedance values will prove friendly for just about all headphones and earphones. On the right side is recessed thumbwheel volume control and on the left are buttons to control pause/play, forward and reverse. An optional luxurious leather case can be had in black, emerald, or ivory. The AK70 is also compatible with the A&K CD Ripper that enables high-speed transfer of lossless WAV or FLAC format files. Like the previous A&K digital players, firmware can be updated wirelessly. The AK70 battery is recharged via its mini-USB port in about 4 hours from a PC (through USB) or with a 2A/5V plug adapter. Battery life lasts as long as 8-10 hours after being fully charged and playing CD-quality FLAC files. My experience was that with a mix of FLAC and a lot of higher-res stuff, the battery gauge started to point to low after seven hours. The review sample already was stuffed with 20 gigs of music files that ranged from CD-quality FLAC to DSD codecs. During the listening sessions that followed I alternated my AKR02 single-ended earphones, the new AK T8iE Mk II Beyerdynamics earphones (reviewed separately), and Audeze LCD 2 headphones. IPod fanciers may rejoice, particularly when you slide to Paul Simon’s Graceland hit, “Diamonds on the Soles of Her Shoes.” It takes about 20 seconds to realize that this 96kHz/24-bit download crushes the crappy .mp3 file that you have been hearing for years. Even when rendered in DoP, the DSD file of Jeremy Monteiro’s ethereal delivery of “A Song For You,” a solo voice and piano recital, begins your ascent up the rungs of the highest audio ladders. Standard CD-quality FLAC files, for example, the Eagles’ “Hotel California” or “Chan Chan” from Ry Cooder’s Buena Vista Social Club were prime examples of how well this player handled lossless 44.1kHz/16-bit material. Michael Jackson’s Thriller album was another DSD sonic miracle that was perfectly rendered, PCM conversion notwithstanding. The magic continued through all of the earphone/headphone combinations, regardless of musical selection. The AK70 was capable of showing off the differences between balanced and single-ended playback and pinpointed the ascending quality of ‘phones with which it was mated. While my AK240 had more airiness and better definition around the edges, for less than four times the price of admission, the AK70 proved a great entry into the rarefied atmosphere of truly great high-resolution digital playback. Highly recommended for those who are ready to pitch their ‘pods. The AK70 is a relatively (I use the modifier carefully) cost-effective high-resolution digital player that will please many listeners particularly at a price point that will not exhaust your bank account. Adding the micro-SD card to max out the music storage space will up the ante by 150 bucks. 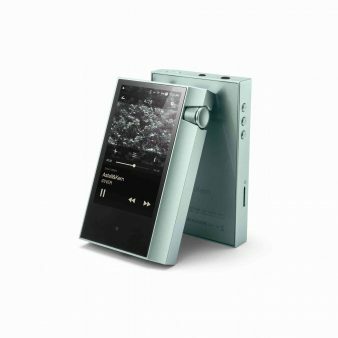 The best part is that for a shade over six Benjamins, you get a terrific portable digital player that will provide many hours of listening pleasure on the go, and it fits in your pocket. A well-designed high-performing digital player that delivers high-resolution files in splendid style.